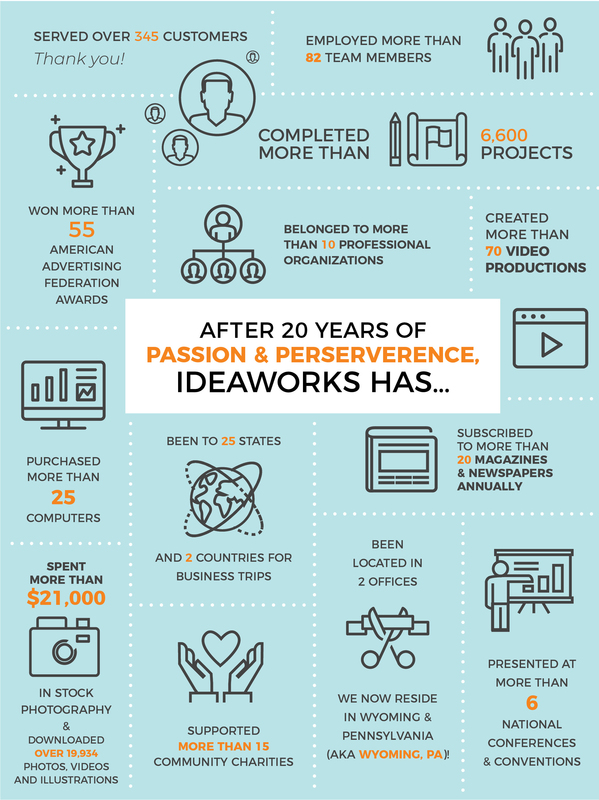 Ideaworks Marketing is proud to announce that July 2018 marks our 20th year in business. It was on July 20, 1998, that we first opened our doors and started the process of becoming a full-fledged marketing company. 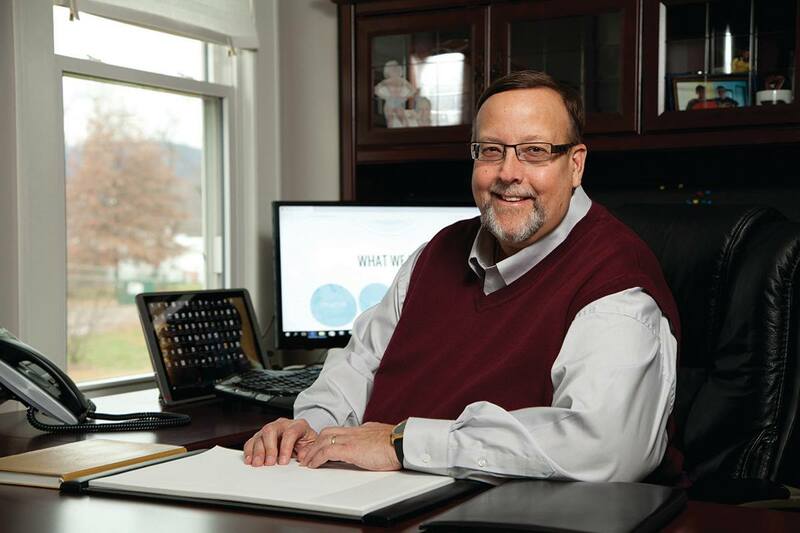 What started with two employees and a simple goal to “help our clients succeed” has resulted in achieving two decades of innovation and steady growth. 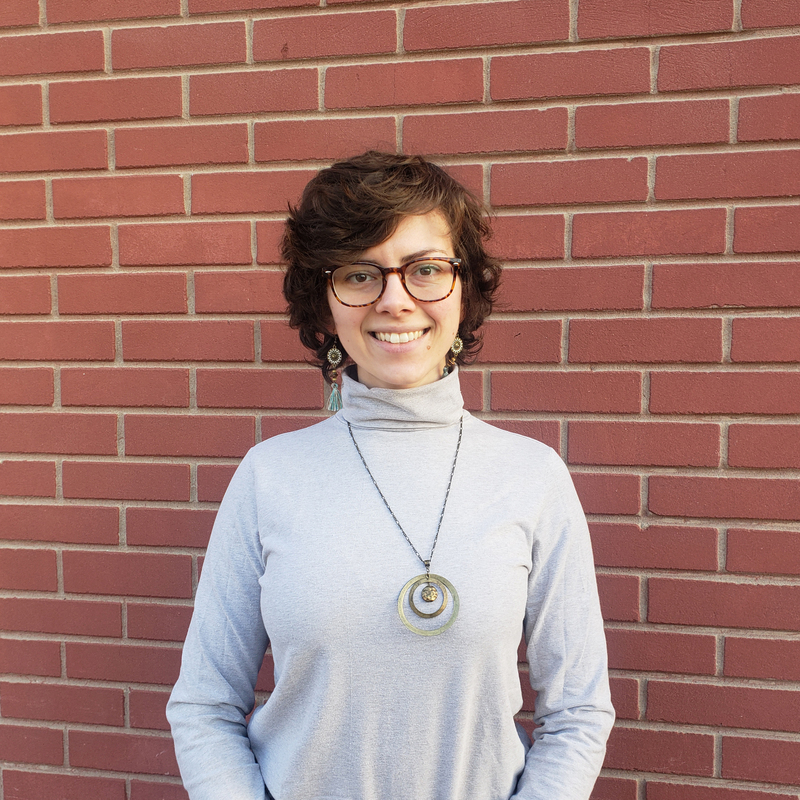 Today, we have more than a dozen talented professionals on staff, each with their own unique skill sets and agency expertise. Our company’s success and longevity are due, in large part, to these creative individuals and the many others before them who never settled for “good enough” and always looked for ways to make our work innovative, engaging and results-oriented. These past 20 years have been an intense yet incredible journey filled with many accomplishments. We want to take this opportunity to thank our terrific clients and customers. Without them, there would be no Ideaworks. We also want to thank our many partners and associates who have helped us produce award-winning work. Finally, a huge thank you to our families for understanding the long nights, the countless road trips and missed gatherings because work had to get done. Here’s to another 20 years and more. Cheers! Take a few seconds and think of an item or experience you value. What popped into your head? Why? Do you value this particular thing because it was given to you by someone you love? Do you value this memory/experience because it played a huge role in shaping who you are today? It probably wasn’t too difficult to think of one or even several items or experiences you value. As humans, we seem to place a value on everything, whether it’s positive or negative; we might do this consciously or subconsciously. In the same way that we place a value on possessions or experiences, we also do this when it comes to colleagues and professional relationships. Years ago, marketing and advertising agencies enjoyed a special kind of monopoly that has since disappeared thanks to the advent of the internet. 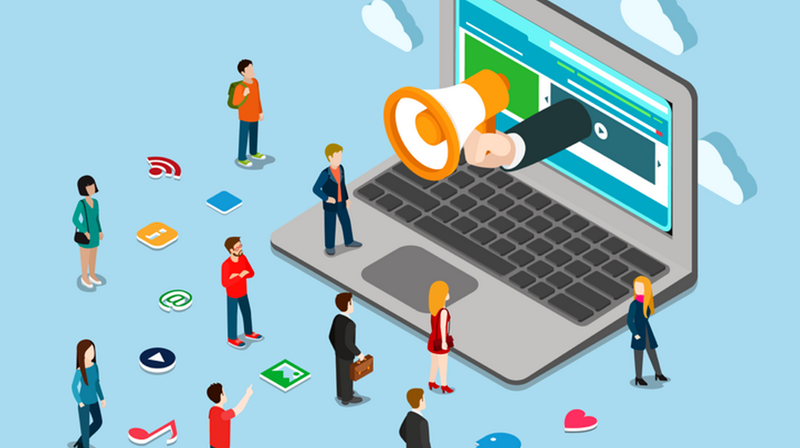 Agencies didn’t have to concern themselves with competition from websites offering less expensive prices for graphic design or “marketing” services. However, now, we do, and with that comes the need to make ourselves even more valuable to clients than ever before. Let’s face it, if clients don’t find value in the services we provide, the relationship is over. You might be thinking, “Well, of course I am much more valuable than some website,” but are you really? Do you stay up-to-date with current trends, which change as rapidly as the weather? Do you read any marketing article you can get your hands on – even if it isn’t necessarily the area in which you specialize? Most importantly, do you take the time to research, read and learn all you can about your clients’ businesses/industries? If you answered “yes” to each of these questions, then kudos, you’re right on track. If you answered, “no”, then it’s time to change. While it’s important to stay updated on all things marketing so you can suggest the best strategies and tactics to clients, nothing is more valuable than when you approach your client with a trends report or an article discussing a topic pertinent to the industry in which they serve. This not only shows you have your client’s best interest at heart and want to see him or her succeed, but it also places a value on your relationship with said client – a value that is invaluable in this day and age. Any agency is going to welcome new clients on board and sell, sell, sell its marketing services, but those agencies that take the time to know and study their clients’ businesses and industries are the ones who will easily differentiate themselves amongst the competition. Any possession, experience, relationship or service that you regard as being valuable is actually invaluable, i.e. you still wouldn’t give up said item even if offered millions of dollars. As a marketing professional, this is how you must be viewed by clients because you must become an incredibly valuable asset to them in order to establish those invaluable relationships that are key to your business success. Earlier this month, individuals around the world recognized International Women’s Day, celebrating the many commendable achievements and advancements women have made in the workforce and beyond. As I reflect on International Women’s Day and what it means for Ideaworks, I am grateful for the opportunities we have had through the years to grow and develop as a WBE-certified women-owned business. This year marks our 20th year in business, and it is an honor to work with such a talented group of career-minded women, including Ideaworks’ president & CEO Donna Hansbury, vice president of creative and operations Patty Pugh and director of marketing communications Chelsey Tupper. Together with these ladies and the rest of our talented team, we have dedicated ourselves to delivering the best marketing and creative work for our clients. Our entire team showcases attributes that I believe are crucial to have not only in a women-owned business but any business enterprise. 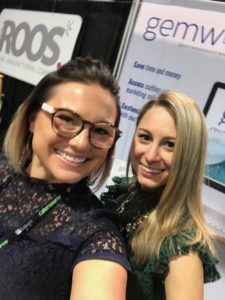 Characteristics like sheer talent, respect for one another’s unique abilities, and a willingness to work hard, dive deep and actively immerse ourselves in each client’s industry. These are the qualities that make our agency valuable to our clients and competitive in today’s ever-changing marketplace. It’s an honor to have built this business and team with my fellow female executives. 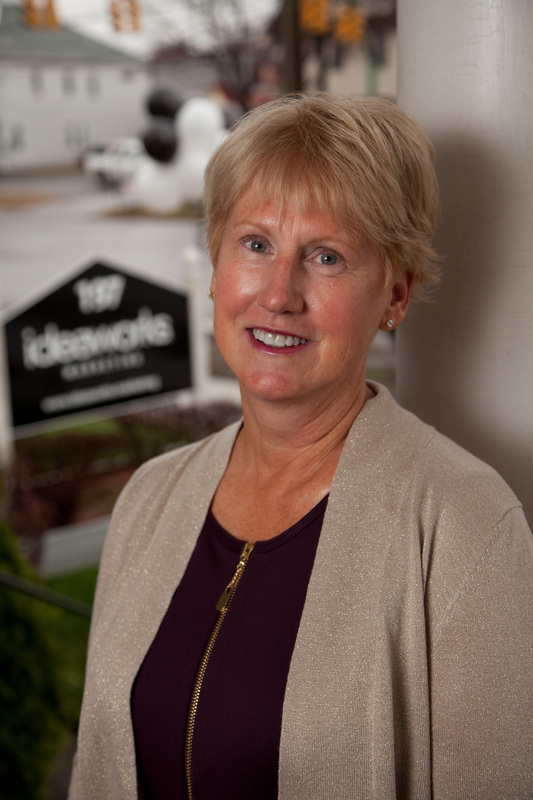 While I am especially reflective as March comes to a close, I am genuinely grateful year-over-year that Ideaworks is a women-owned business, dedicated to solving clients’ most pressing marketing challenges with innovation, creativity and an exceptionally talented team. “If you don’t know where you’re going, you’ll end up someplace else”: A powerful statement by Major League Baseball legend Yogi Berra, and one that holds true when creating a marketing plan. Oftentimes, creating a well-thought-out plan is a daunting task, and the end result is a massive document laden with lofty goals that might not accurately address who you are as a company, where your strengths and weaknesses lie, where you want to go and perhaps most importantly, how you are going to get there. Built from years of industry experience, our team developed GPS Marketing: A Simplified Approach to Creating a Marketing Plan. This is a powerful tool that helps turn any small or large business’ ideas and visions into an easy-to-use, actionable marketing plan. 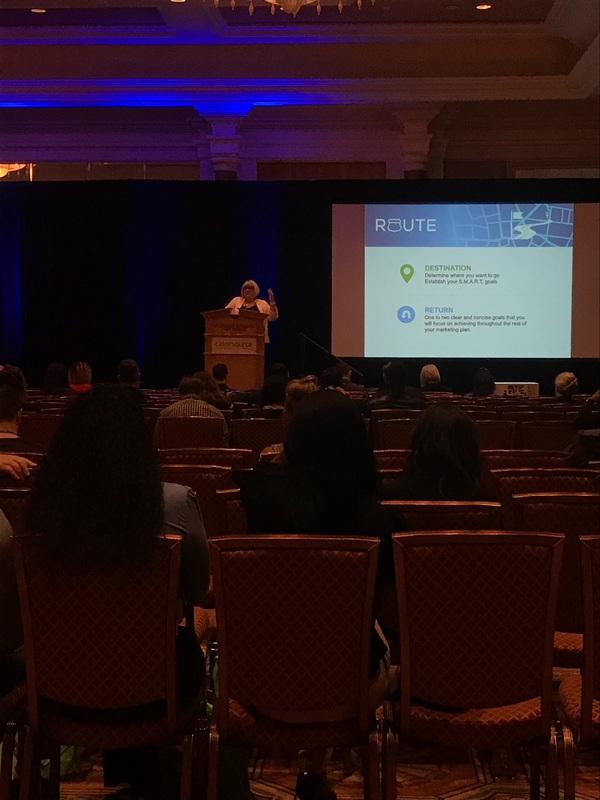 Ideaworks president & CEO, Donna Hansbury, delivered a presentation on GPS Marketing to catering and event professionals at the annual Catersource Conference & Tradeshow, held in Las Vegas, NV, in February. Upwards of 75 catering and event business owners packed the Emperor’s Ballroom at Caesar’s Palace for Donna’s 8 a.m. GPS Marketing presentation at Catersource, where director of marketing communications Chelsey Tupper and marketing manager Alyssa Zekoski greeted attendees and handed out takeaway marketing plan workbooks. The crowd was a diverse one: seasoned event professionals with years of experience looking to refine their existing marketing efforts; eager young caterers looking to develop an actionable plan on a shoestring budget; and long-time Ideaworks clients there to support our team. True North: Where a business must conduct an honest assessment of where it is in terms of its market, customers and competition. The section includes sample questions business professionals should ask themselves, a simple grid to conduct a S.W.O.T. (strengths, weaknesses, opportunities and threats) analysis and more. Route: Where business professionals want to go in order to grow their companies and increase profitability. Professionals are asked to take this step after they have determined who they are as a company. The Route section propels individuals to establish S.M.A.R.T. (specific, measurable, attainable/achievable, relevant and timely) goals using a template that separates what they want to achieve, how they measure their success, what actions are taken to achieve the goal and the timeframe needed to complete it. System Display: Where a business determines what they want to say and where, i.e. the messaging and mediums. The section includes mediums for consideration, like loyalty programs, e-mail marketing, public relations efforts and QR codes. Tips are also provided so businesses can craft appropriate messages for their target audience that add value to their lives. Expense Report: Where a business develops its all-important budget. This is where professionals must determine what they can afford to do without putting their company’s financial health in jeopardy. A marketing budget calculator is included for use. Upon concluding her presentation, Donna answered a number of questions and received excellent feedback from attendees on the Catersource app. One young event professional even noted that Donna’s presentation was one of the best she’s ever attended at a conference of this kind, and said that the GPS Marketing booklet was the best takeaway she’s ever gotten from a presenter. Donna left her audience with a valuable piece of advice echoing Benjamin Franklin: “If you fail to plan, you are planning to fail.” This is a powerful statement that professionals in all industries should take with them as they grow their craft and chart their own course in the business world. Click here to view the GPS Marketing presentation. Click here to download your GPS Marketing workbook. 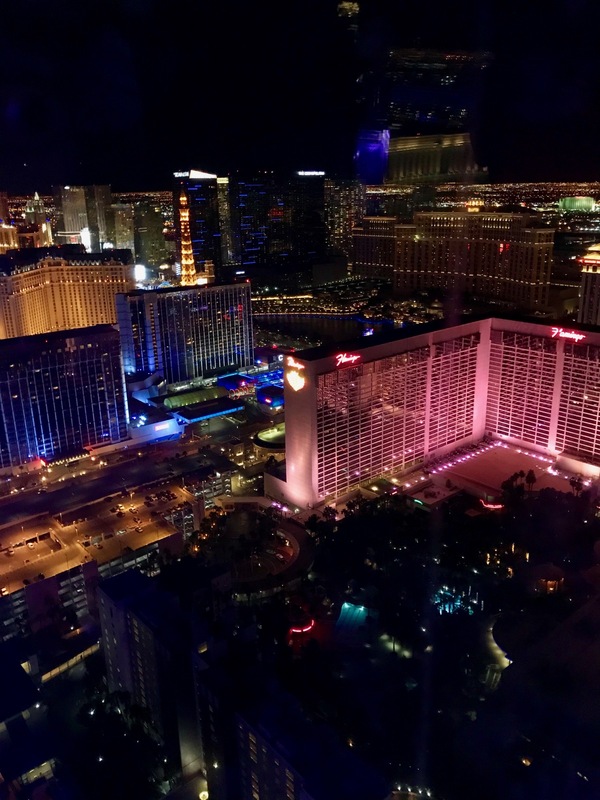 Las Vegas, NV: Arguably, it is one of the most vibrant resort cities in the United States, characterized by its flashing lights, world-renowned food and a lively, distinct culture all its own. This past February, our president & CEO, Donna Hansbury, director of marketing communications, Chelsey Tupper, and marketing communications manager, Alyssa Zekoski, traveled to this spirited city to attend Catersource, a premier conference and tradeshow for catering and event professionals. 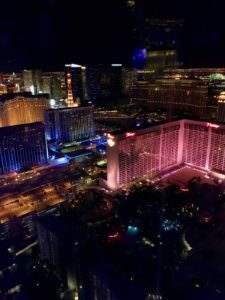 The team celebrated much success while on the trip, and found that their Catersource 2018 experience was much like the city of Las Vegas itself – bringing with it bright business opportunities; the chance to try unique cuisine from the industry’s best; and the opportunity to better understand the unique culture of the catering and special events industry so we can make our new catering marketing platform, gemworx, even more relevant to event professionals’ needs. Donna, Chelsey and Alyssa stayed at Caesar’s Palace, where a number of Catersource events were held, including educational sessions and a presentation from our own Donna Hansbury. 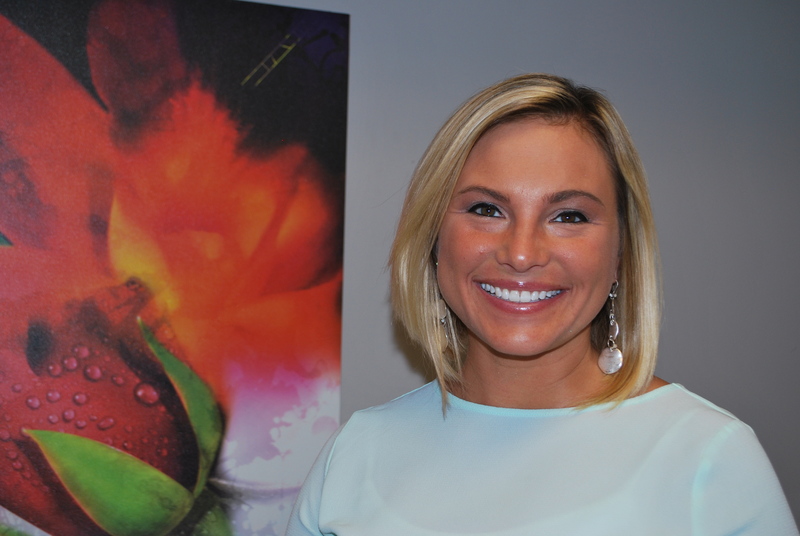 Several months ago, Donna was asked to join other distinguished professionals and present at Catersource for the third time, which she enthusiastically accepted. 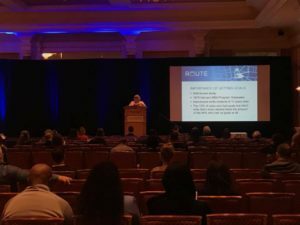 In her presentation, entitled GPS Marketing: A Simplified Approach to Creating a Marketing Plan You Will Use, Not Lose, Donna discussed simplified steps attendees could take to make the process of creating a marketing plan less daunting and more streamlined. 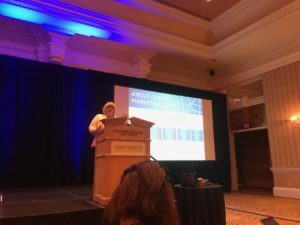 The GPS presentation was incredibly well-received, so much so that one of the conference attendees said it was one of the best she’s ever attended, and that the workbook handout was the greatest takeaway she ever received from a conference. Allows for easy differentiation of one’s business with professionally-designed materials like brochures, postcards, business cards, social media post examples and best practices, blog ideas, etc. Provides the ability to generate additional revenue with items caterers’ customers need, like printed menus, invitations, save-the-date cards, table numbers, place cards, item identifiers, etc. Many attendees spoke with Donna, Chelsey and Alyssa about gemworx and scheduled demonstrations to learn more about what it can do for them. 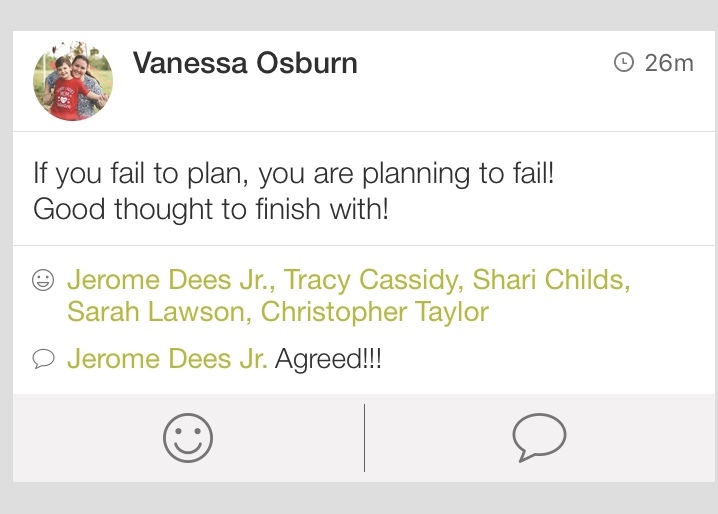 They also shared valuable feedback with the team that we are using to enhance our gemworx offerings. Gemworx will officially launch in April. The team tasted several delicious dishes that were freshly prepared on the tradeshow floor, including grilled pepper salmon, chilled kale-broccoli salad with fruit, crispy chicken hors oeuvres and more. Chef Marcus Samuelsson, head chef of Red Rooster in Harlem, NY, and a featured judge on Food Network’s Chopped, was also in attendance, and Alyssa had the opportunity to meet with him, tasting some of the cuisine he prepared alongside U.S. Foods. 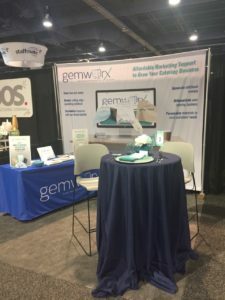 In all, the trip was a wonderful opportunity for Ideaworks to share our marketing expertise with industry professionals and make a new mark on the events industry by unveiling a product that will streamline caterers’ marketing efforts. We look forward to all that is to come for gemworx in the years ahead!